I’m kind of becoming addicted to Etsy, so I think I’ll feature shops I like from time to time. These are shops I’m browsing right now. 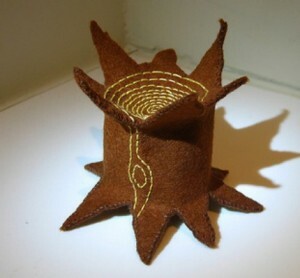 I bought this Tree Stump Pin Cushion from Gracefell a few weeks ago. I love it and use it constantly, I was just too lazy to take my own picture of it and used the one from her shop. All her pin cushion designs are adorable. This is another cookbook that I found in the bargain bin at The Strand and use all the time. 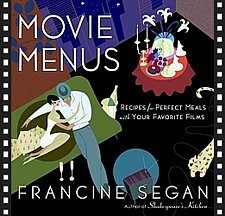 Francine Segan has filled this book with trivia and great ideas for meals covering a wide range of movie genres. 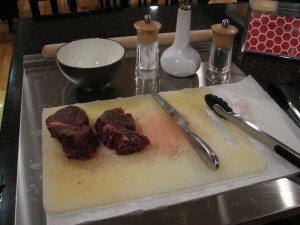 It’s just really fun, and the food is good. Last night I made the Beef Tenderloin with Pink Peppercorn Sauce (from the Romantic Dinner For Two chapter), and Adam made mashed potatoes. 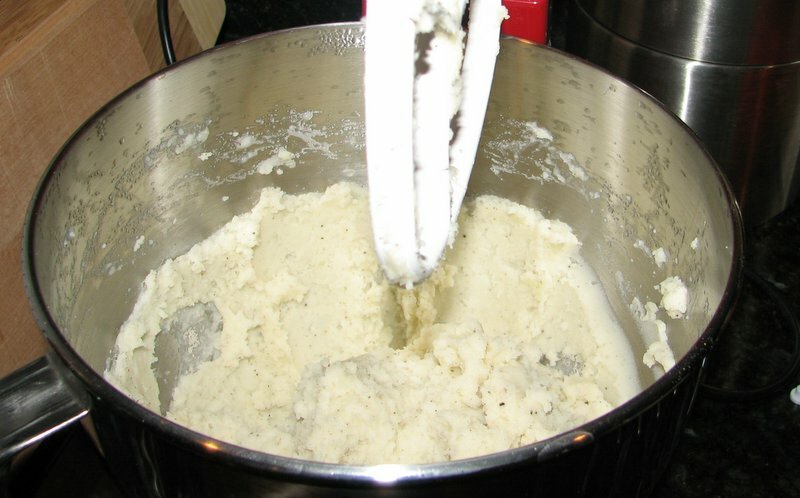 He makes The Greatest Mashed Potatoes Ever, so that is always his kitchen job. 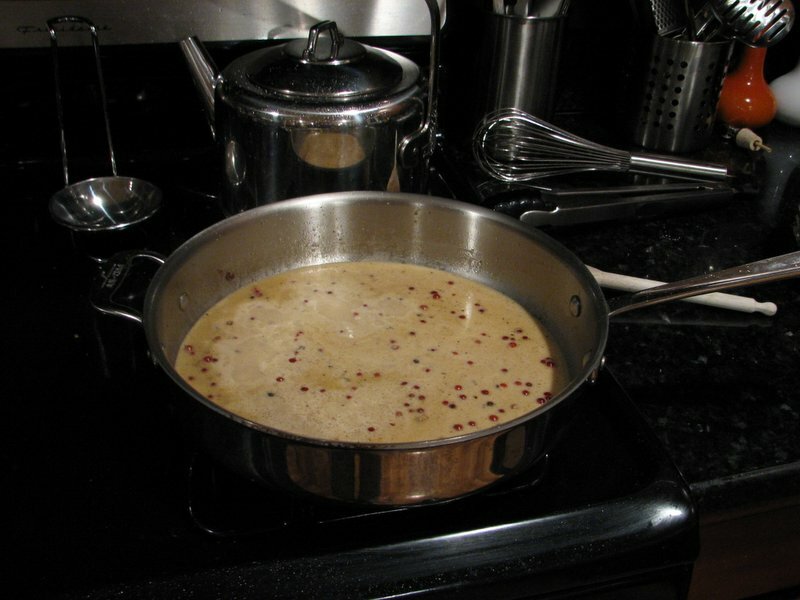 This is the yummy and ridiculously easy sauce (I tweak almost all recipes, so this has more heavy cream than the recipe calls for). 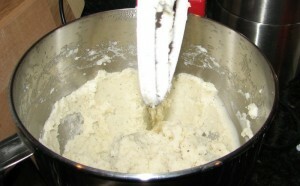 Adam’s mashed potatoes, in our Kitchenaid stand mixer (greatest kitchen tool evah!). So delicious! My Jazz Painting, acrylic on masonite. 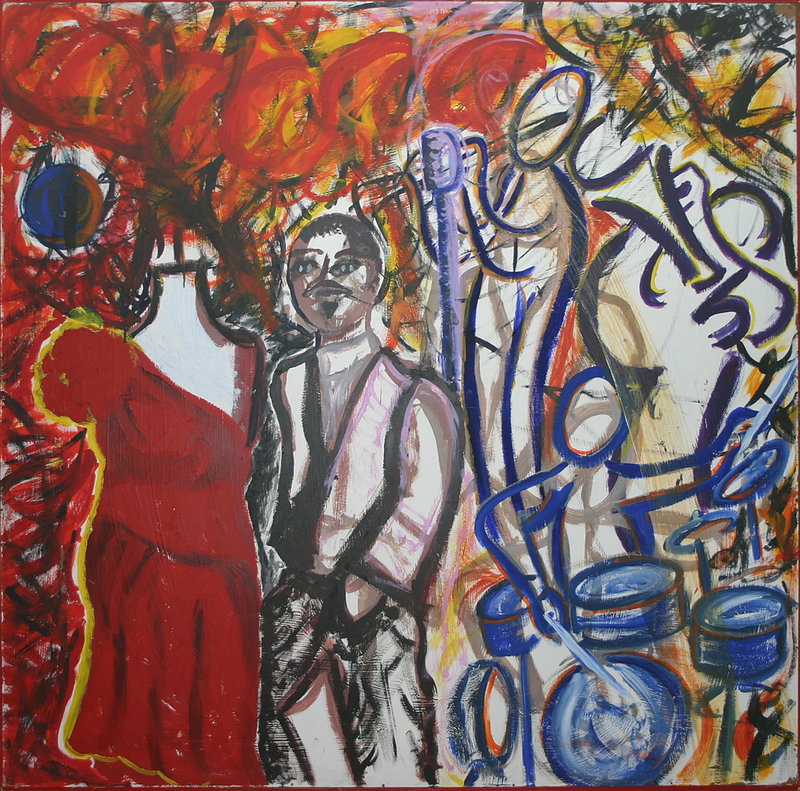 4′ x 4′, March 2001. This is still my favorite thing I ever painted. I did this in college, during my most prolific whirlwind year of painting. Later that year some stuff happened in the world and in my family, and I got pretty stalled after that and never again managed to paint like this. Someday I will.